Don’t you want to squeeze them? 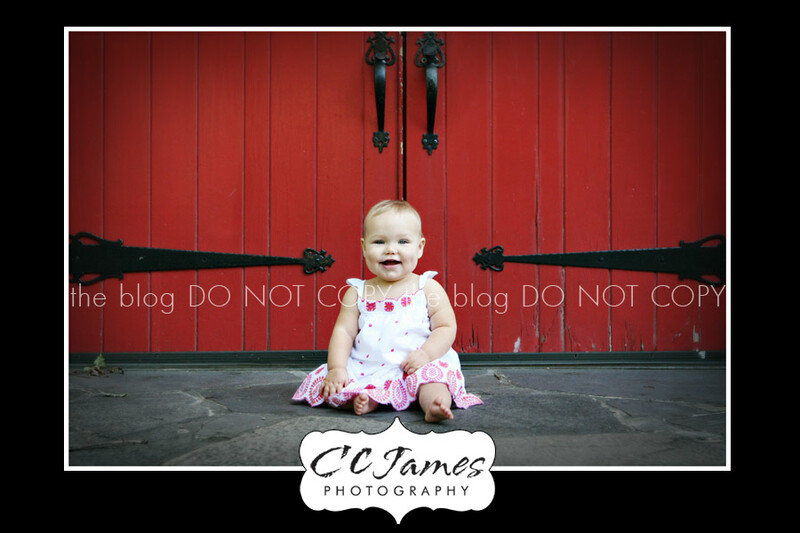 Little miss H did nothing but smile the WHOLE time. 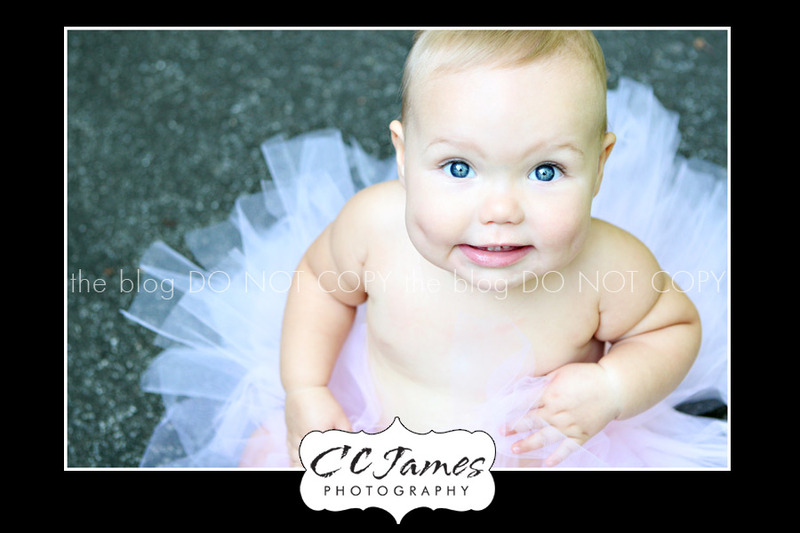 And she has the sweetest little dimples on her big squishy cheeks. LOVE that! Check out these images – we had a great time – can you tell? Couldn’t help it – had to put a little vintage “flair” on this one. 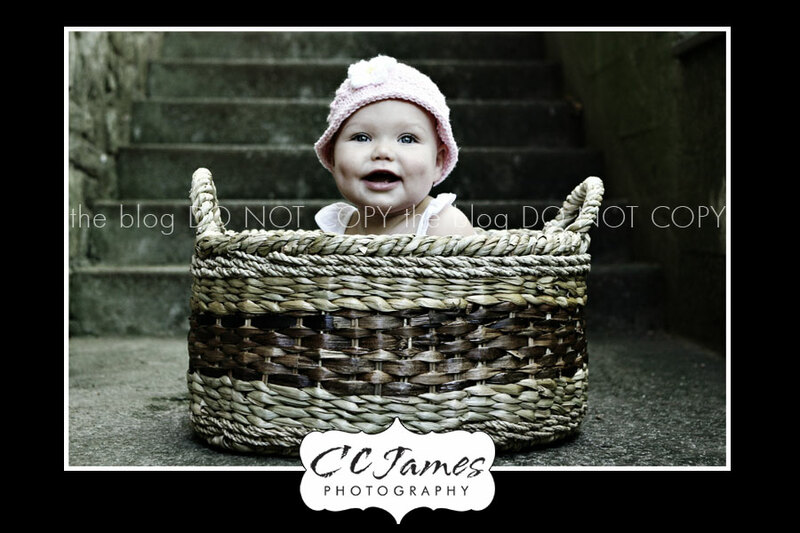 A new take on the baby in the basket! 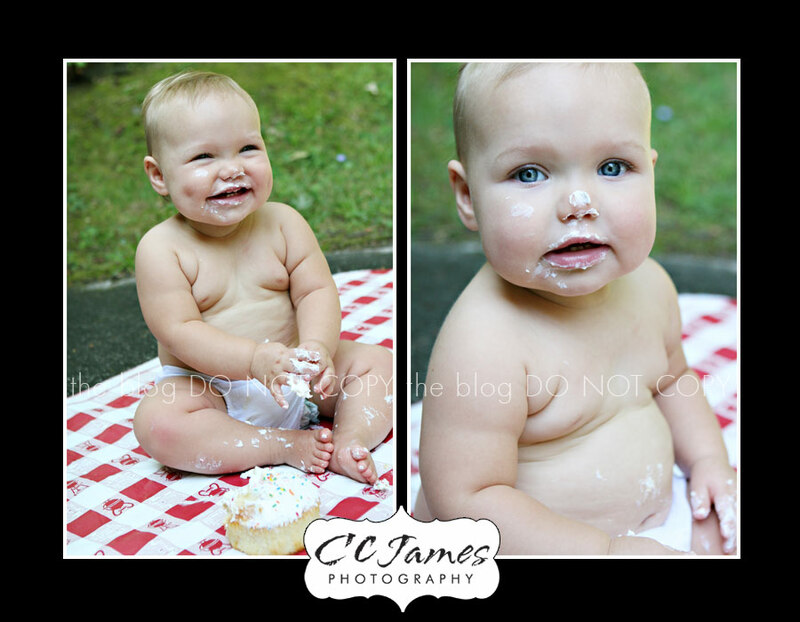 She wasn’t too sure about the cupcake. But – she was STILL smiling! Mom offered to help eat it (if only it were topped with SKITTLES!) Hee-hee! Happy Birthday Miss H!